A Celebration version of The Nutcracker and the classic “12 Days of Christmas” are sure to become audience favorites. To conclude the show, a seasonal rendition of “Go Tell It On The Mountain” will move the audience as the scene is transformed into a Winter Wonderland and Christmas light spectacular. “Here at Celebration Dinner Show, we are thrilled about welcoming guests to share this special holiday story that will inspire one and all,” said Jamie Parish, General Manager. Our cast is excited to return for a second season and provide guests with the chance to create new family traditions and holiday memories. Another star of this show is the yuletide feast. Featuring mouthwatering food of magnificent proportions, this holiday feast treats guests to tantalizing tastes including the original creamy vegetable soup recipe, homemade buttery biscuits, sugar cured ham, pan fried chicken, signature macaroni and cheese, sweet potato delight, and a specialty dessert. Unlimited Coke products, tea and coffee also are part of the meal. 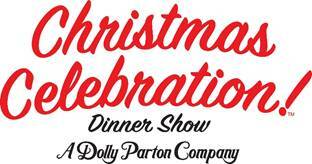 For the complete Christmas show schedule, visit www.dpdinnershowtickets.com or contact the box office at 844-322-4400 for ticketing. About World Choice Investments: Founded in 1988, World Choice Investments, LLC, doing business as Dolly Parton's Stampede Dinner Attraction, Pirates Voyage Dinner & Show and Celebration Dinner Show, operates dinner attraction venues for family fun and adventure in Pigeon Forge, Tennessee, Branson, Missouri and Myrtle Beach, South Carolina. Our shows feature special effects, musical productions, live animals and a four-course family feast.